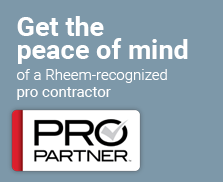 We install high quality Rheem systems for maximum efficiency and satisfaction. Our technicians are professionally trained to repair all central heat and air brands to get you back to comfort in your own home. Improve the life of your system with annual maintenance. Air professionals agree, maintenance is the #1 way to add years to your existing system. We believe in the value of clean indoor air quality, and we’re experts at evaluating your home and providing solutions to improve your air. You can put your trust in County Line Air. We are the air conditioning company Boca Raton residents are talking about. We provide personal service and exceptional quality. All of our air conditioning services and products are guaranteed. We have over 15 years of experience. Our unparalleled service, competitive prices, and overall value are why our loyal customers won’t go anywhere else. If you are looking for an air conditioning company in Boca Florida, look no further. We look forward to serving you! I had the opportunity to use County Line Air to completely install an entire air conditioning system in a newly constructed house. I was a cautious consumer and compared the price quotes and service history of several companies before going with County Line Air. They installed 100% of my air conditioning system including all duct work, air returns, inside and outside units. The system has been in for close to four years and in addition to working great I have not had a single maintenance issue. I recommend County Line Air for all of your Air Conditioning needs. County Line Air is amazing!!! My unit was fixed quickly and they provided excellent service. I highly recommend this company! Very friendly and professional! Thank you so much! The owner Matt came out immediately and fixed a problem another company couldn’t. I look forward to using this company again!! I had contacted County Line Air to come out and diagnose the issue with my A/C. Matt showed up on-time, very professional and was able to diagnose the problem within minutes. At the time, we needed a whole new compressor. We weren’t ready at the moment to make the decision, so we told him we would let him know. In addition, once we made a decision, he would take off the $79.00 (cost of the visit) and put it towards the final bill when we have everything fixed. He took down the serial numbers of our unit and called us shortly after to make us aware that the parts were still under warranty! Without him letting us know, we would have waited and it would have been too late. I loved the fact that he wasn’t “pushy” and let us decide what we wanted to do instead of making a rash decision. When looking for someone to work on my home (I am VERY picky!) – they must be licensed, professional, kind and trust-worthy. I would refer him to anyone who needed help with their A/C. Matt – Thanks again for all your help! Yes, I am interested in receiving the free newsletter which has recent information an AC repair & maintenance news for my home and my family. I prefer to receive the newsletter.